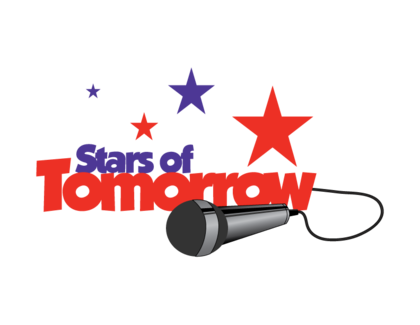 Second Annual ‘Stars of Tomorrow’ Benefits Charity, Shines Light on Emerging Stars, Brings Teens Together. Do you know a Star of Tomorrow? Variety of Georgia is once again looking for bright teenagers who fit the bill! The Stars of Tomorrow competition launches on September 20 as Variety of Georgia searches for talented teens. This fall, the non-profit organization lights up its latest initiative with the inaugural talent competition. Brilliant hopefuls 13-19 years old can get in on the vocal action to gain experience, exposure and the opportunity to pursue their dreams as the next Star of Tomorrow. Stars of Tomorrow benefits Variety of Georgia initiatives across the state and aims to shine a light on Georgia’s promising young talent. Event co-chairs Carolyn Lee Wills and Former Chief Barker Mike Dangerfield help further the organization’s commitment to enhancing the lives of area youth. Through this competition, teens not only showcase their chops for industry leaders but develop skills they will use for years to come. The mission of Variety of Georgia is to aid and enhance the lives of children in need who may be challenged by physical and/or mental disabilities, poverty, abuse or neglect. Residents from Georgia between the ages of 13-19 are eligible to submit their videos. Contestants must be unsigned talent (individuals only) who have not had any professional work. Contestants over 18 or legal guardians will be required to sign a waiver before the contestant will be allowed to compete. Videos will be reviewed to ensure videos are singing videos without any harsh language. Top 20 contestants must prepare their music for the preliminary round. Top 20 to perform at The Buckhead Theatre in Atlanta, GA. The winner of the Stars of Tomorrow singing competition will enjoy a trip for four to Universal Studios Hollywood, including accommodations, park access and transportation. The talented teen also receives an audition for the Theater of the Stars series in Atlanta, a professional photo shoot, a custom-made demo CD and tickets to an upcoming performance at The Fox Theatre. The first and second runners-up each receive an audition for the Theater of the Stars series in Atlanta, a professional photo shoot, a custom-made demo CD and tickets to an upcoming performance at The Fox Theatre. Georgia residents between the ages of 13 and 19 are eligible to enter the Stars of Tomorrow competition. Contestants must be amateur, unsigned, individual talent and have no professional experience. Contestants over 18, or legal guardians of contestants under 18, must sign a waiver before the contestant is allowed to compete. Video submissions will be reviewed to ensure they showcase singing talent without any harsh language. The 2012 competition starts with a state-wide talent call. Now through October 31, eligible teens across Georgia can submit contest entries, including videos of their best performances, electronically at www.varietystarsoftomorrow.com After event coordinators approve each submission, they will upload entries beginning October 25 at www.youtube.com/varietyofgeorgia. Contestants can also share their videos among friends and family to leverage their networks and gain exposure.